Are you looking for a robust Hospitality Point of Sale solution? Whether you are running a restaurant, a bar, a food van, a café, a bakery, a winery, nightclub or other type of hospitality venue, IMPOS has a solution right for you. 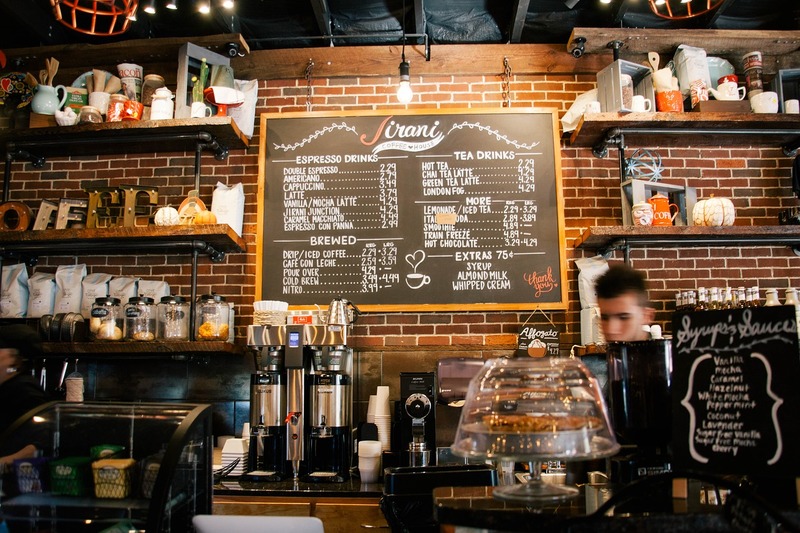 Finding the right point of sale solution for your hospitality venue can be challenging. With a plethora of products in the market place it is not always easy to choose. If you are seeking something stable, reliable, versatile and cost-effective Impos will tick all of these boxes. It provides you with everything you need not only for today but for your future growth. Eliminating issues such as food waste, leakage, incorrect stock-control, order mistakes and high labour costs. These overheads need to be managed and brought under control otherwise they will work to erode your bottom line. Impos works with you to ensure your costs are reduced. Impos understands that you’re in business to make money, so they will make your success their priority. A Melbourne based highly skilled support team is there to help clients 24/7. They will answer any question you have to ensure your venue continues to run smoothly. They value their clients as well as their venues. 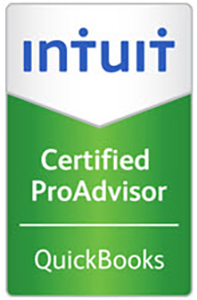 They will consult, advise, train and support you so you get the best out of your Impos. No challenge is too big. Impos wants your business to thrive. They want you to get as many customers through your venue as possible. Impos offers a marketing module, as well as third-party integrations to help with targeting your demographic to drive sales. Also, membership modules to target customers directly with the latest deals and specials even reservation integrations to ensure a smooth service. Reporting targets the trends within your venue by discovering the top-20 most popular dishes and your peak hours so you can ensure your staff coverage. Impos provides a system that is designed for ease of use, it is intuitive and everyone will be able to use it quickly, easily and efficiently. Venues can be highly customised by having button sections where they prefer, easy drag and drop options to name a few of the many features. Impos has joined forces with a number of integrations, (add-on software) to take time consuming tasks off your plate. Running a successful venue is stressful enough, why would you waste time on manual processes when integrations can smoothly synchronise with your Impos system whilst you focus on growing your business. With End of Financial Year around the corner Impos and 2 Peas have special offers for you. If you are ready for Impos POS solution please ‘Contact Us’ and quote promotional code ‘IMPOS’ in your request. 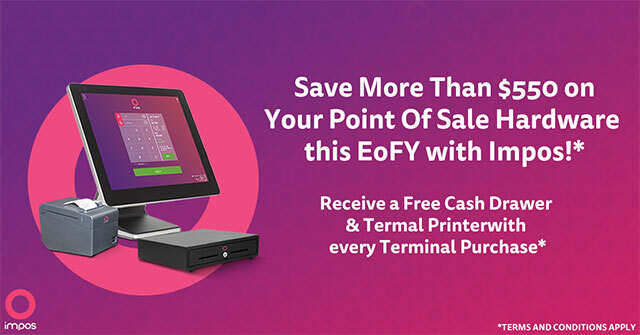 You can save more than $550 on your Point of Sale hardware which includes a free cash drawer and terminal printer when you purchase a 15inch POS terminal before 30 June 2018. 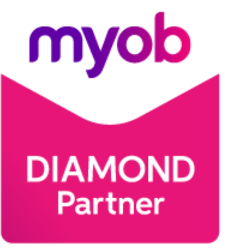 Also, if you are requiring the MYOB AccountRight Live software to integrate with your Impos also ‘Contact Us’ and quote promotional code ‘MYOB’ or call us directly on 1300 896 732 and mention our newsletter promotional codes to our administrator. This offer is only valid until the 30 June 2018. Get in touch today!